My First Time is a regular feature in which writers talk about virgin experiences in their writing and publishing careers, ranging from their first rejection to the moment of holding their first published book in their hands. Today’s guest is Linda Kass, author of Tasa’s Song, a novel that Amber Dermont (The Starboard Sea) calls “a lasting tribute to life during wartime, including the hardships and triumphs that define the true nature of grace and resilience.” Early in her career as a journalist, Linda worked as a magazine reporter and correspondent for regional and national publications, such as TIME and The Detroit Free Press. 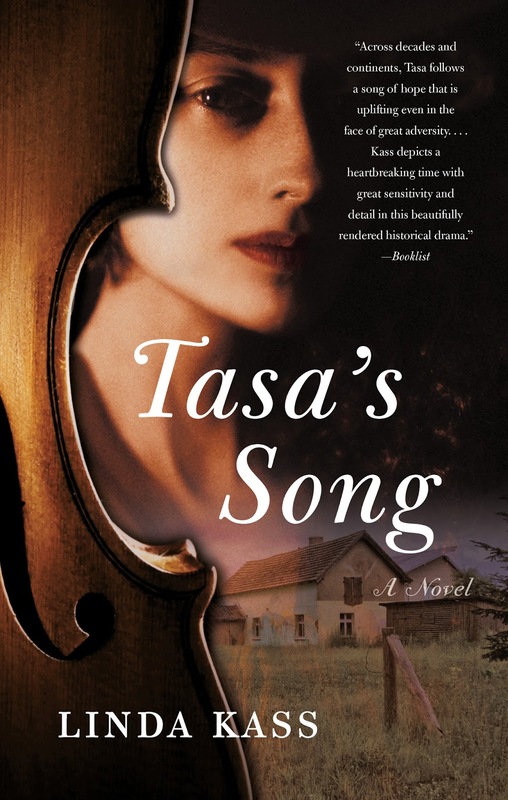 Her debut novel, Tasa’s Song, inspired by her mother’s life in eastern Poland during World War II, was published in May by She Writes Press. 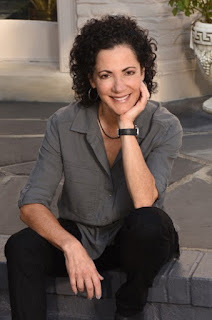 “A Book in Concert” will continue this December at the Columbus Museum of Art, and next March at the Jewish Community Centers in both Miami and Boca Raton, Florida. Driving in my car one morning in April 2015, shortly after signing a contract for my first novel Tasa’s Song with She Writes Press, and thinking about my book’s protagonist, a violin prodigy, I had a sudden thought to call my friend Chas Wetherbee. I’ve known Chas since 1995, shortly after we both joined the Columbus Symphony Orchestra—I as a trustee and Chas as first violinist and concertmaster. Ten years later, Chas moved to Colorado and co-founded Carpe Diem String Quartet, an internationally acclaimed and boundary-breaking ensemble whose members include a violist from Tacoma, Washington, and a second violinist and a cellist, both from Boston. The group returns to Columbus several times a year for a chamber series that I attend whenever possible. The timing of my call to Chas was perfect—he would soon be in Columbus for a concert performance and suggested we meet for breakfast. I told him about the novel I’d just completed, that it was headed for publication a year hence, and that it was filled with music. He said to bring my manuscript. That fateful meeting was the genesis of what became “A Book in Concert” and my first large public reading for my novel. A story about growing up and falling in love during the gathering storm of World War II, Tasa’s Song was inspired by my mother’s early life in eastern Poland. Because the fictional Tasa Rosinski is a talented violinist, music weaves its way throughout the narrative. I explained to Chas I had referenced so much music for the novel that I created a musical playlist to keep track of it all. He agreed to review the manuscript for technical correctness, and then wondered aloud if we might collaborate. He told me that programming for Carpe Diem’s 10th anniversary finale concert in Columbus, planned for late May of 2016, had not been finalized. The timing aligned well with the May 3, 2016 release of my novel. Pairing my reading of scenes from the novel with the very music described or evoked could yield a powerful expression, Chas suggested, greater than what either art form could achieve on its own. “So, does Tasa have a song?” Chas asked. I said no, her “song” is her journey of hope, her story. “I could compose her song,” he replied. I was dumbfounded. By August of 2015, Chas sent me a list of composers in my playlist that the quartet wanted to play for this concert so we could finalize the program in time for the season brochure. I combed through my manuscript for the exact right scene, placing my selections in a particular order and creating brief introductions to contextualize each scene. This way an audience who had not read the book could follow along with the narrative and the music it engendered. We settled on seven scenes followed by seven musical selections—a two-hour program with one intermission. And the program would open with Chas Wetherbee playing his four-minute composition, “Tasa’s Song,” based on the novel’s main character and her harrowing, yet hopeful, journey amid a world war. The concerts, and the fellowship with Carpe Diem, became a source of comfort to me at a time of loss. As I began to read aloud at the first evening’s show, I found a voice I would use throughout the weekend readings. A natural rhythm followed, as my words, and the scenes they depicted, seamlessly fused into yet another kind of musical expression, at times whimsical, then filled with melancholy, melodic then dissonant. I heard the artful Paganini resonating off their strings, breathing life into Tasa’s musical inspiration and aspiration. As Carpe Diem played the energetic Czardas, Tasa’s first public recital as a solo violinist performing Zigeunerweisen by Sarasate came to life—complete with frolicking gypsies! I felt the tension of Soviet oppression in the dissonant notes of Shostakovich’s String Quartet no. 8 in C Minor. And in Tales from the Vienna Woods, I imagined the gaiety of the peasants dancing the waltz, losing themselves as I did, in the art itself. In the months since, the voice I discovered for these early concerts has stayed with me for all my readings of Tasa’s Song. As I stand at a podium, whether in Chicago or Brooklyn or Columbus, and begin to speak, a memory filled with rhythm and vibrancy returns to carry my words with music. Sunday Sentence: The Kid by Ben Bradlee Jr.